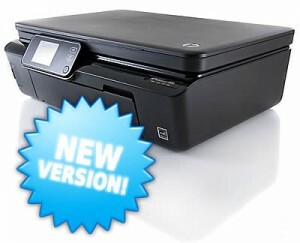 Approximately 6 months ago HP released an updated version of their popular Photosmart 5520 printer.The Photosmart 5520 is a very popular model and due to it's very low retail price (typically around $55-00) it has been a very good choice as a cheap, reliable home printer. Many people have taken advantage of the low retail price of this printer and have purchased them for their home or small business. So why the ink cartridge problems? HP in their great wisdom decided to update the firmware on the new 5520's. They work fine with genuine 564 cartridges but insert a generic cartridge and the new firmware wont recognise it.This once again is a clever move by HP to try and combat the compatible ink cartridge market and try and win back their share of the market. So far the Photosmart 5520 seems to be the only model using the updated firmware however no doubt other models will follow the same path. Ink Hub picked up on this problem several months ago and we imported the new Updated 564XL Generic cartridges which have overcome the firmware update and work perfectly with the 5520 printer. The new HP564XL Printer Ink Cartridges for HP photosmart 5520 have a new microchip attached which is able to simulate the genuine HP cartridge and works without any issues. As stated in previous articles Epson have been using these tactics for years and now Brother have also jumped aboard and are constantly changing their firmware in an attempt to combat the generic printer cartridges.